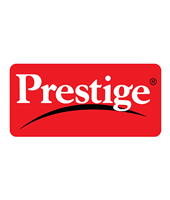 The Prestige Induction Cook-Top offers quick and consistent heating at high efficiency. 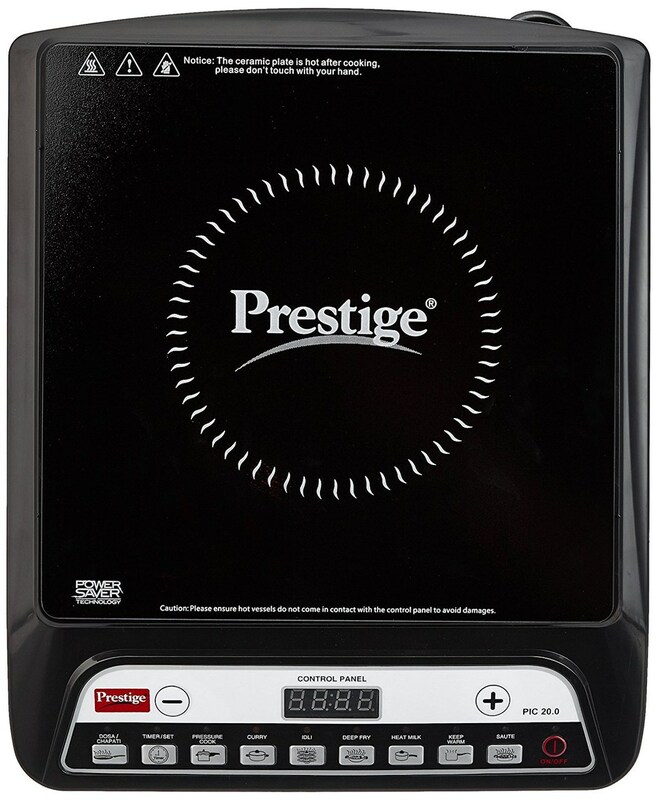 Add to this its anti-magnetic wall, soft touch buttons, durability, safety and elegance make cooking a pleasing and enjoyable experience. 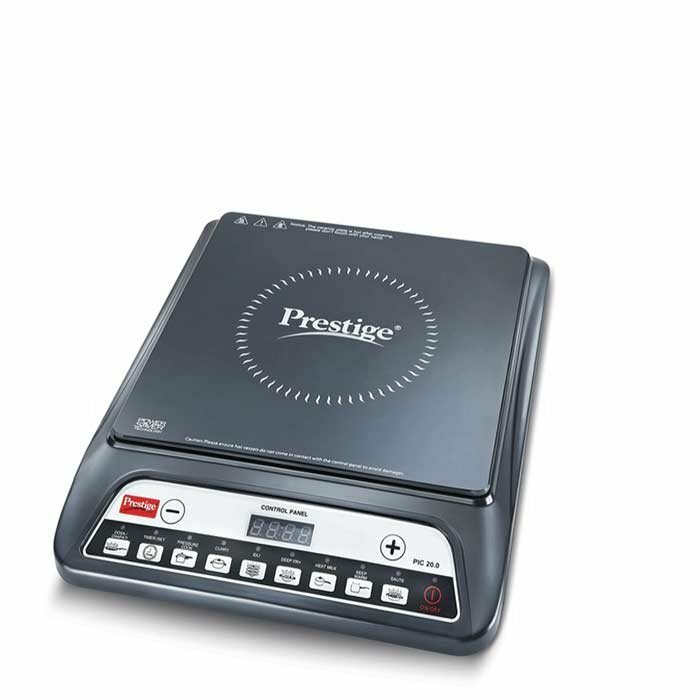 The Prestige Induction Cook-Top comes with the unique power saver technology wherein the Induction Cook-Top dynamically monitors the temperature of the vessel and adjusts the power level based on the size (base diameter) of the vessel. This user friendly cooktop is a smart addition to your Kitchen at affordable price. Intelligent -The appliance will automatically switch off if it is left ‘ON’ without attention for a long time.